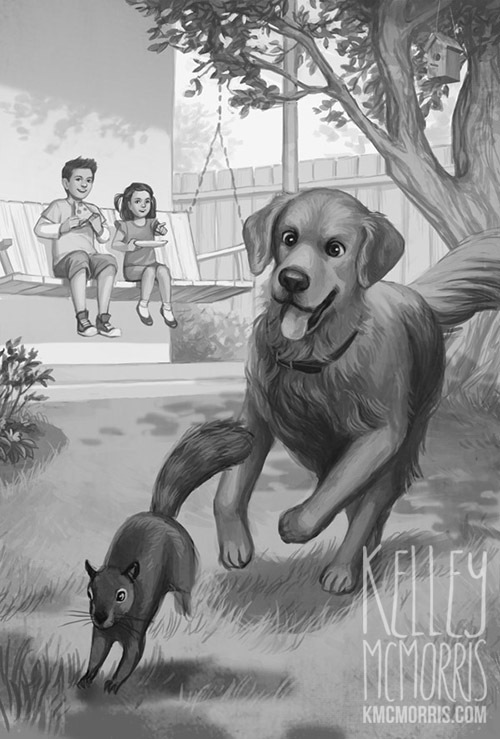 Last week I talked about the cover for Ranger in Time, a new middle-grade series about a time-traveling golden retriever. Today I'm going to talk about the interior illustrations. 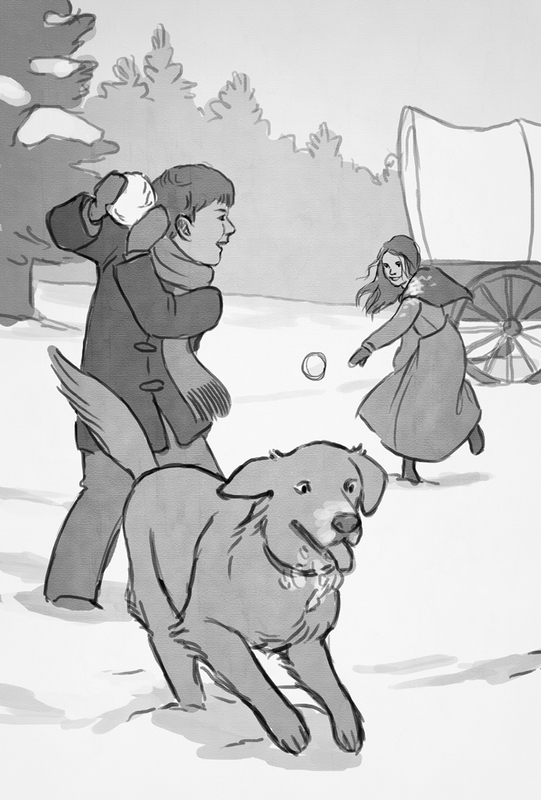 When I was a kid reading chapter books, interior illustrations felt like a reward for finishing a chapter. They were like the dessert of the book. So while they don't get as much attention and love as the cover, they're still important. 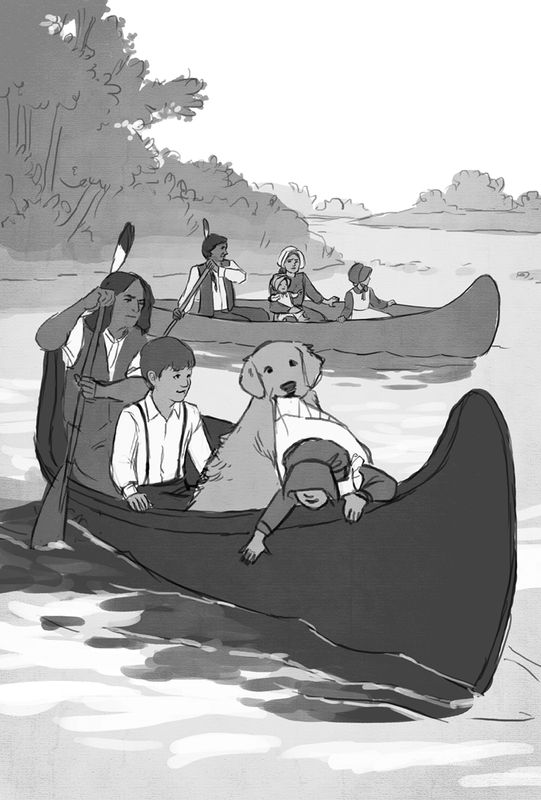 There are 15 chapter illustrations in Ranger; I'm going to share a few of my favorites, along with their rough versions. 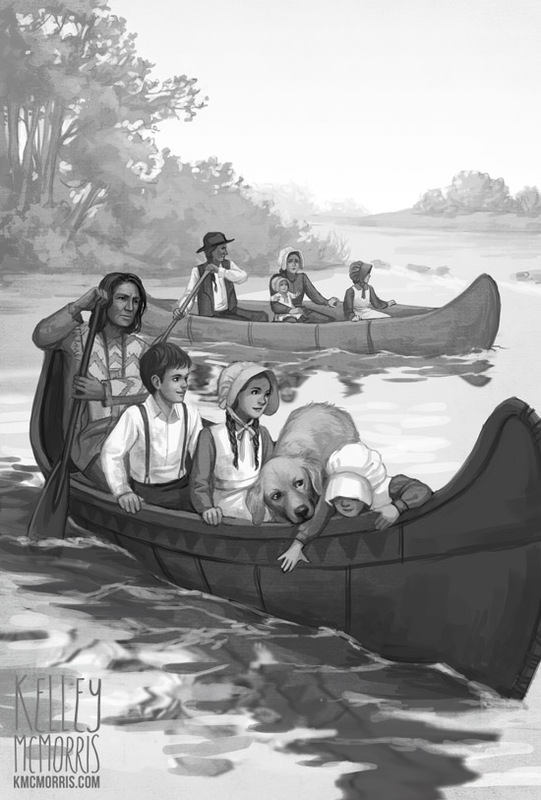 In this chapter, the family is being rowed across a river by Sioux Indians. This went through a few revisions. First of all, Ranger is described as biting the toddler's dress in order to keep her from leaning too far out of the canoe. 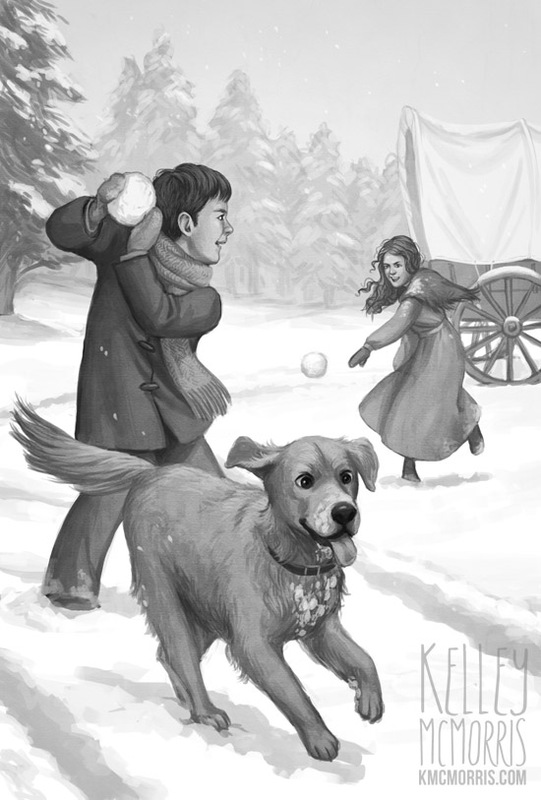 But the author, Kate Messner, discovered that trained search-and-rescue dogs would never bite, only nudge or block. Secondly, I couldn't find many photographs of Native Americans from 1850, the period the book is set in. I found some photographs from the 1890's and saw the men were wearing a mixture of traditional/western clothing, and often had feathers in their hair, so that's what I drew. 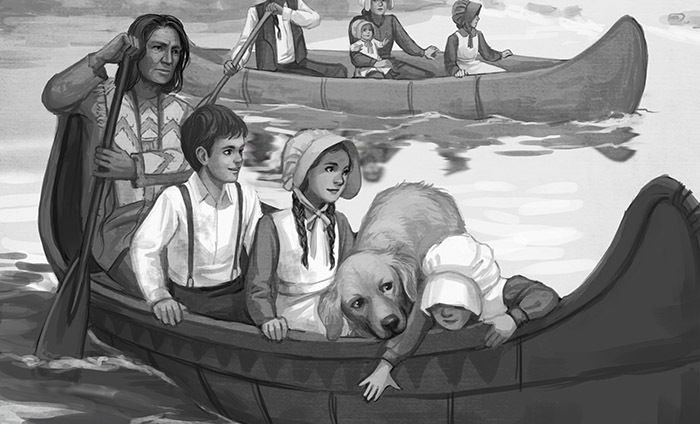 The art director and author were concerned about making sure the Sioux were accurately depicted. The author went out of her way to contact a librarian who specialized in Native American history. (wow!) This librarian pointed out that although there are photographs of Sioux with feathers in their hair, those photographs were often staged by white photographers who wanted their subjects to look more "Indian." 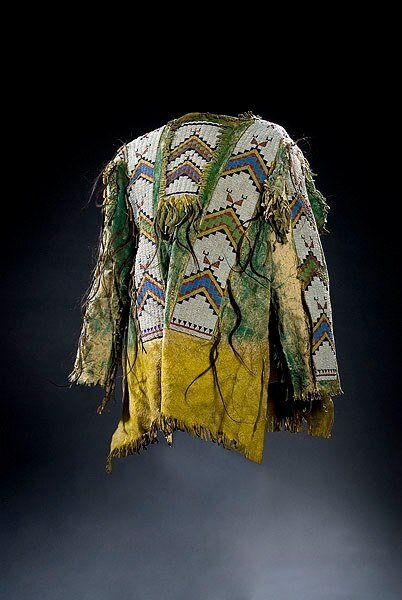 The librarian suggested that we nix the feathers, and passed along a photograph of a Lakota buckskin shirt we could have one of the men wear. I took advantage of the fact that this shirt is too old for copyright and stuck it right into my illustration. 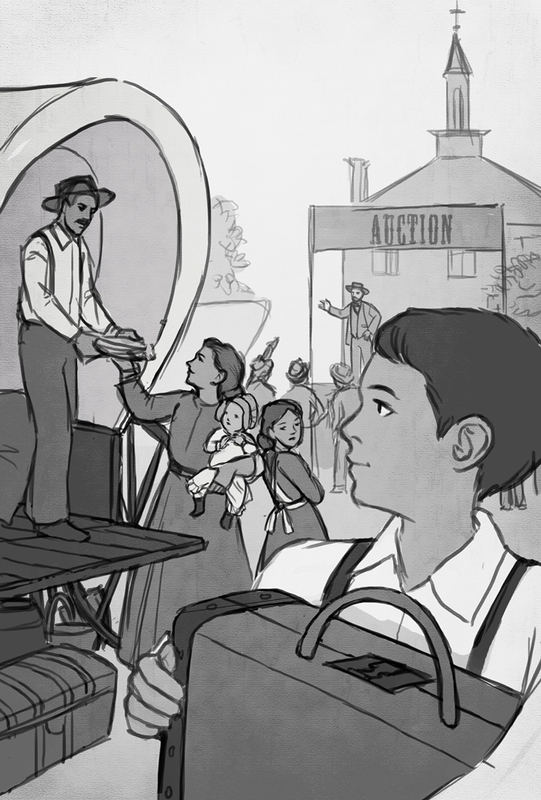 This last illustration doesn't really have a lot of interesting revisions to it; I just like how it turned out. 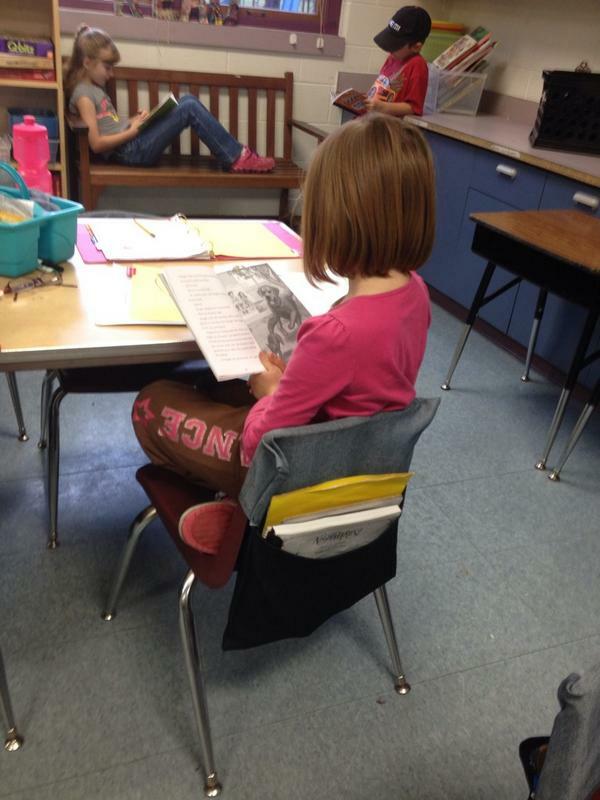 On Twitter, @colbysharp posted this photo of an actual human child enjoying an advanced reader copy of Ranger in Time! 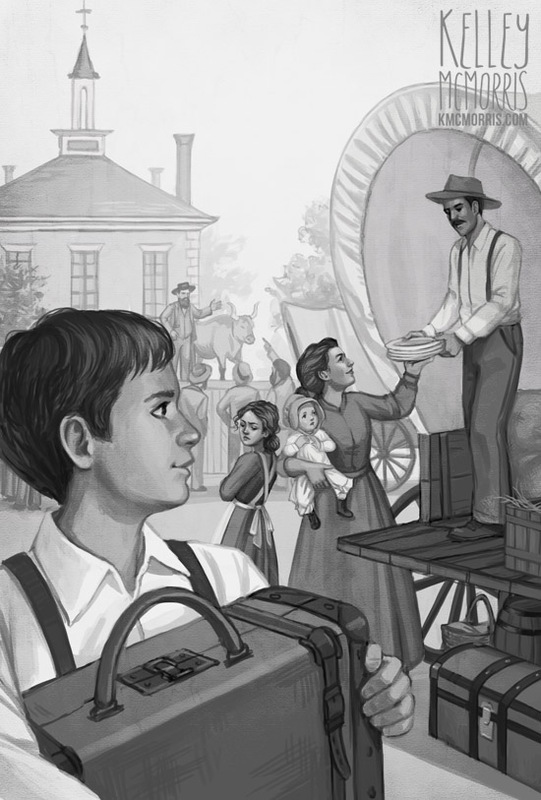 I spent a lot of time drawing these, and the art director and author spent a lot of time checking the details for historical accuracy. 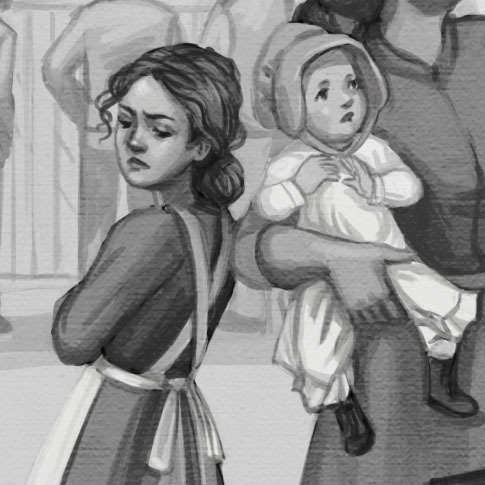 But as I said, interior illustrations don't tend to get as much attention as the cover. So I was very happy when a review of Ranger from Publisher's Weekly mentioned: "McMorris’s richly rendered illustrations heighten the plot’s many moments of danger and drama, and Messner incorporates a wealth of historical details into her rousing adventure story." You can see more interiors in this promo video from Scholastic. Just skip to 20:47. Thanks for the information in this post, Kelley. I've been thinking about interior illustrations for my middle grade fantasy and you're given me a few ideas to think about. Appreciated.